JoJo Hair Studio opened in 1982 in the heart of downtown San Jose, California. The salon has since received the award of Special Distinction from Modern Salon Magazine. JoJo has a reputation for hiring top-tier staff, empowering them to become successful in their own individual careers, and inspiring them to act as a cohesive team. JoJo has a natural gift for unlocking the full potential in his staff members by providing them with opportunities and education, and exposing them to the latest industry news and developments. The staff at JoJo Hair Studio is truly welcoming and works together to satisfy every client. 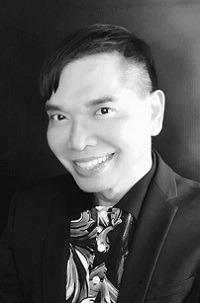 Jojo has over 30 years of experience in the industry, is a certified Redken Hair Colorist and Certified Design Stylist, and has earned the Master of the Craft designation by the International Art and Fashion Group. As a hair stylist, he is known for giving clients a look best suited for them. JoJo is passionate about making his clients look good, and feel even better. His clients consider him inspiring, fun, and talented. JoJo enjoys witnessing positive changes and developments in his clients and staff. Client satisfaction is his biggest reward. Outside of his salon, JoJo keeps himself busy. He enjoys further educating himself in the industry, attending church, going to the gym and presenting at San Jose City College. As a Redken Artist, Heath is a recognized Redken Color Certified Artist, as well as a Redken Certified Design Stylist. 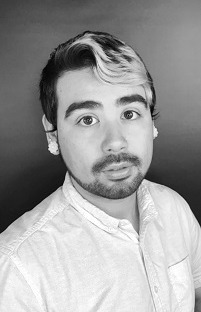 Through his hard work and dedication Heath has obtained a Vidal Sassoon Creative Cutting Certification, Redken Color and Know Why Certification, as well as a certification to perform Keratin Smoothing Therapy. Throughout the years working under celebrity Redken artists, having been a regular invitee to the Redken Symposium and assisting people improve their self-image and confidence using the latest and most innovative coloring techniques, Heath has progressed to pass his knowledge on to the next generation of stylists as a skilled Redken educator. Nina is a certified Redken Hair Colorist. She has a passion for coloring, cutting, and makeup artistry. 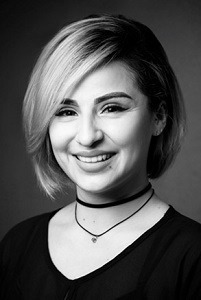 She has a passion for learning new techniques, interacting with her co-stylists, and getting to know her clients. She believes that getting to know her clients is key in order to make their experience in the salon as customized as possible. It’s important for her to familiarize herself with her clients’ preferred styling routine when helping them decide on new styles and products. Rosa made her mark at San Jose City College by graduating first in her class for overall look design and second in the hairstyling category. She obtained her Cosmetology License in December of 2013 and joined JoJo Hair Studio shortly thereafter. Rosa has always had an interest in hairstyling. She loves taking on new challenges and learning something new every day. She loves seeing her clients’ reactions to their new styles and loves it when they see their new look for the first time. 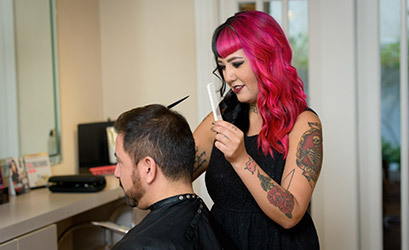 After obtaining her Keratin Certification, she’s looking to further her knowledge in cutting and color and extend her work to film and media. She specializes in braiding, women’s styles, up-dos and curls, and loves shaping eyebrows. Taking the right steps to make her dream of being a hairstylist a realty, Gaby enrolled herself at San Jose City College Cosmetology Program. Within the same month of graduating, she was able to obtain her license; that's how driven she is. With the help of her mentor Heath, Gaby is very eager to develop her skills and learn the trends of what JoJo Hair Studio has to offer. She strives to make sure that each client is happy, comfortable, and has the best experience. Ray Ray joined Jo Jo Hair Studio in 2017. He's passionate in hair cutting, styling, and coloring. Being a Redken Certified Hair Colorist, he is able to combine his techniques to provide the best look for his guests. His work has been published in fashion magazines, and he enjoys doing hair for fashion shows. Isagani assists with business operations, inventory, and performs administrative duties at JoJo Hair Studio. He truly considers himself a detail-oriented, organized people person. Isagani ensures that everything at the salon runs smoothly. He has a passion for focusing his energy on the service that he can provide to clients, as well as explaining the options and alternatives available to them. At JoJo Hair Studio, we pride ourselves on the array of services we offer our clients. 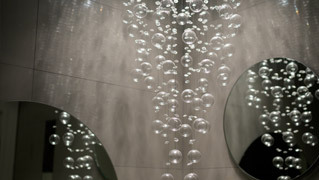 Services range from simple and classic to avant-garde and imaginative. Below is an expandable list of all our services. *All prices vary according to the demand of time of each stylist. **Gift cards are available for all of our services and products. Shampoo, conditioner, scalp massage, cut, style, and blow dry. An extra charge may apply for long hair. Shampoo, cut, style, and blow dry. for children 12 and under. Trimming and reshaping of bangs. Shampoo, scalp massage, blow dry, and styling. Curling and styling the hair by adding tight or loose curls. Application of Redken’s premium color lines. Transitioning tones of color that shade into each other, graduating from dark to light. Highlighting of the hair to create a graduated, natural-looking effect. Application of color to a smaller area. Changing the tone of previously-applied hair color. Charged per hour. Consulation required. Semi-permanent color which corrects the hair color using a glazing effect. Highlighting of the sides, top and crown of the head. Highlighting of the entire head of hair. Application of color to the regrowth area. Restores the look and feel of damaged hair through gradual heating. Conditioning application of protein and moisture to deliver healthy, shiny hair. Strengthens damaged hair by reinforcing the bonds and restoring the hair’s integrity. 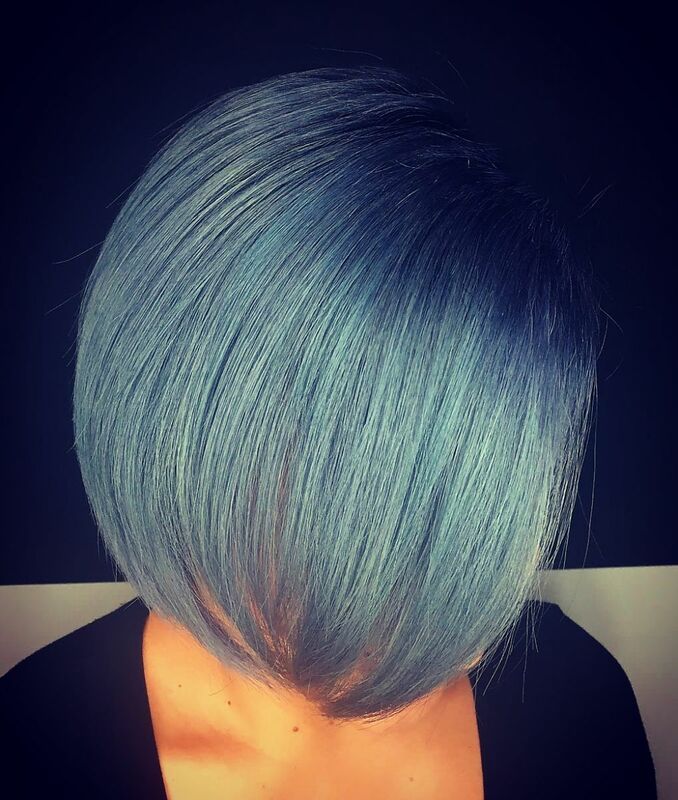 A unique system to promote bond integrity during and after a professional haircoloring or lightening service. Repairs damage, locks out humidity and gives the hair increased manageability by replenishing the hair’s keratin. Day of bridal styling and trial. Please ask about our professional cut, color, and styling services for your special event. *In order to maintain consistent coverage and color only one halo touch-up service may be performed between full touch-up services. Cancellation Policy: Please allow 24 hours before your scheduled appointment time to cancel or reschedule in order to avoid a 50% charge of services. © JoJo Hair Studio. All rights reserved. JoJo Hair Studio provides hair salon services to Campbell, Cupertino, Gilroy, Los Altos, Los Gatos, Milpitas, Monte Sereno, Morgan Hill, Mountain View, Palo Alto, San Francisco, San Jose, San Mateo, Santa Clara, Saratoga, Sunnyvale, and other bay area cities.